Why do people go on a writing retreat? Is it simply that ‘familiarity breeds contempt’? Is it the last lingering remnants of the Romantic illusion that inspiration, in its purest form, can be derived from nature alone? Is it simply the intrinsic human desire to be anywhere but here that drives writers to seek out the unfamiliar? By definition, a retreat is simply moving away from what you know to something new. And the new is very often inspiring, particularly if you’re going through a nasty spate of writer’s block, or are finding your every day just utterly exhausting. A retreat is a collective event – you are not alone. You’re not going to be sitting on a lonely mountaintop or beach (or whatever your general holiday preference may be), or trying to get yourself to get out of bed in order to write. 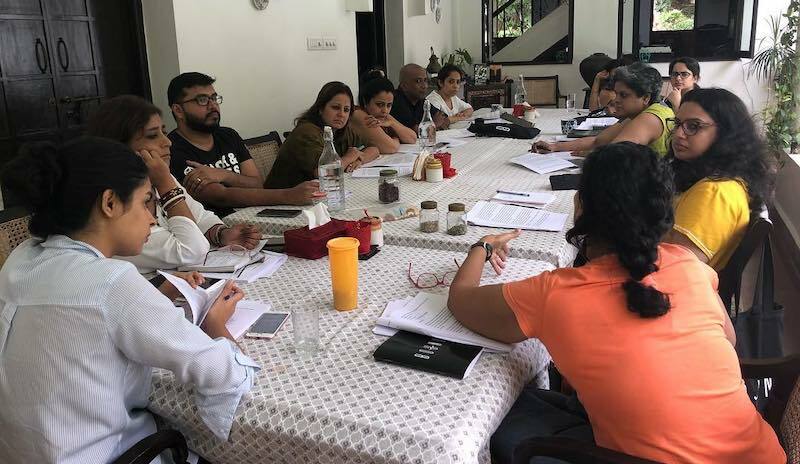 A writing retreat is you, finding like-minded people who share your passions and your determination and working to be the best writer you can be. And really, there’s nothing more rejuvenating than that. It’s a commitment; a commitment to your work, to your passion, to making sure you’re doing everything you can to be better at what you do. Will you be comfortable, fed, safe and warm? Of course. Will you be laughing with new acquaintances and friends, and the special few who are somewhere on the road between the two? Definitely. Will you be able to view jaw-droppingly beautiful backgrounds every way you turn? Absolutely. But this is not just a holiday. This is you, working hard towards your dream – the one you put off for too long because life is hard and usually feels longer than it really is, and you have spent all of it trying to find the time and energy to really push for what you want, and who you want to be. So, sure, it’s gorgeous and inspiring and revitalising in some very fundamental ways. But that’s not enough. That’s why curated retreats by organisations like Bound are so good at what they do – they plan every last detail to make sure that you can take advantage of every possible opportunity. 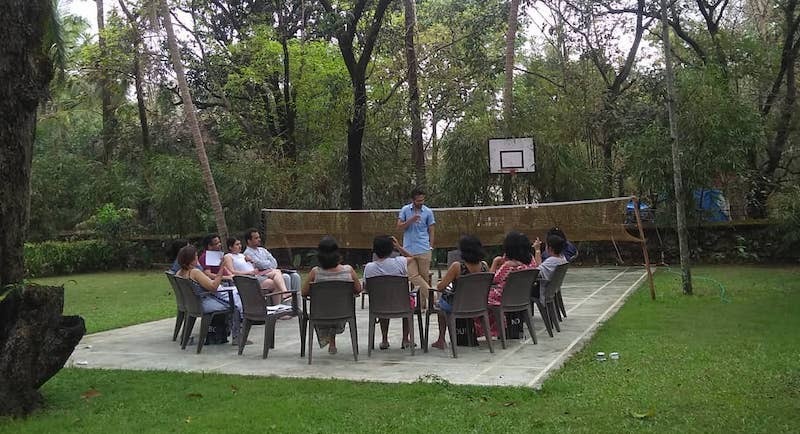 “There is a deep sense of commitment from the organisers, and especially the mentors, which is heart-warming.” says Usha Venkatraman, after her own retreat, “and it encourages us because, in this manner, everyone also learns in the process.” She’s right. There are daily workshops, planned excursions, talks and discussions with various experts to really hone your skills; daily dialogues with your peers who are as eager to read your work as you are to read theirs; and, underlying it all, the knowledge that your only obligation here is to actively seek out and follow your passion. No more, no less. Perhaps everything you need in order to learn and grow in your own entirely unique way, you could find at one of these writing retreats. But writing retreats also do one other really amazing thing for you. They give you faith. Not just in other people and the writing/publishing world, but in yourself. Especially yourself. More often than not, we’re too afraid to really chase after what we want. Riddled with doubts about our abilities, our “talent” or lack thereof, we never take that first step to becoming everything we could be. And that’s why retreats are so special. They aren’t throwing you into the middle of the ocean and demanding that you swim to shore. Instead, they provide you with a boat and map, and a non-threatening space in which writers, especially new writers, can find their feet and learn in new and varied ways how to best embrace their skill. What it all boils down to, in the end, is learning. Most of our education happens in the classroom and it’s hardly the most conducive atmosphere for anything creative. In a way, retreats fill the gap left by traditional education and combine travel, training and experience to help you grow in your field. The need for these kinds of alternative education has been growing exponentially over the last few years. Writing retreats, particularly, are incredibly popular for the individual attention and mentorship that they provide, along with the opportunity to step outside of comfortable, lifeless routines and into an exciting and encouraging environment that pushes you towards your craft. So, the next time you’re feeling uninspired, or exhausted all the way to your very soul, consider a writing retreat. Get away, and pursue what you love amongst a community of people doing exactly the same thing. You may just find what you’re looking for there. Not yet ready to commit to a writing retreat? How about joining a Facebook group which incorporates all the elements of a writing retreat instead? The Curious Reader and Bound have created a 30-day programme to help you build a habit of writing. With daily prompts, inspirational quotes, educational articles, and masterclasses with experts, this free programme will help you write more and write better. Join us on Facebook and develop your writing habit. Would you consider going on a writing retreat? Have you ever been on a writing retreat? What was your experience like? Share your thoughts in the comments below. 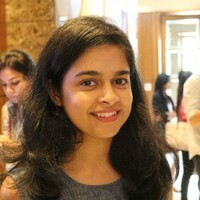 Tara Khandelwal is an editor and writer who has worked with Penguin India, BloombergQuint and SheThePeople.TV. She works with Writers' Side and Eyewear Publishing as an editor and is the founder of Bound. She graduated from the Columbia Publishing Course and completed her undergraduate studies in Economic History from Columbia University.